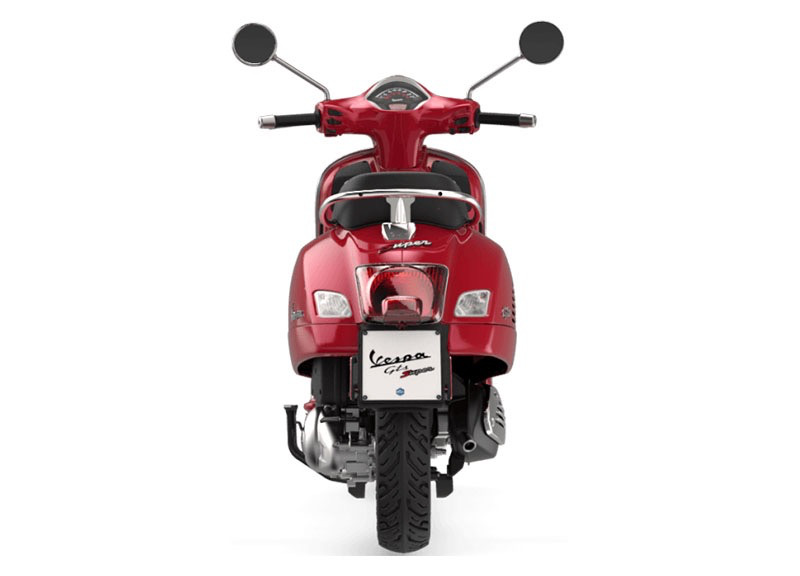 With all its design and technological content, the Vespa GTS Super 300 has revisited a “sporting classic” of the mighty Vespa collection. While being functional even in the smaller things, like the USB port in the double compartment under the leg shield back plate, it has not renounced its "racing” spirit. 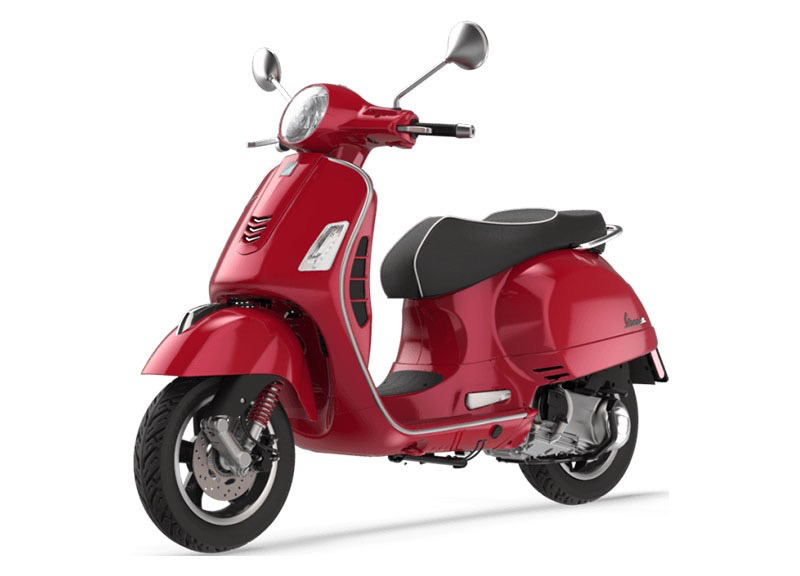 The new two-tone alloy rims recall the decomposable ones of the past and highlight the sporty attitude of the 145th model in Vespa’s history, thanks also to the red spring of the front suspension and the new front grill, which has given up the position light to sport a grill enriched with chromed elements. 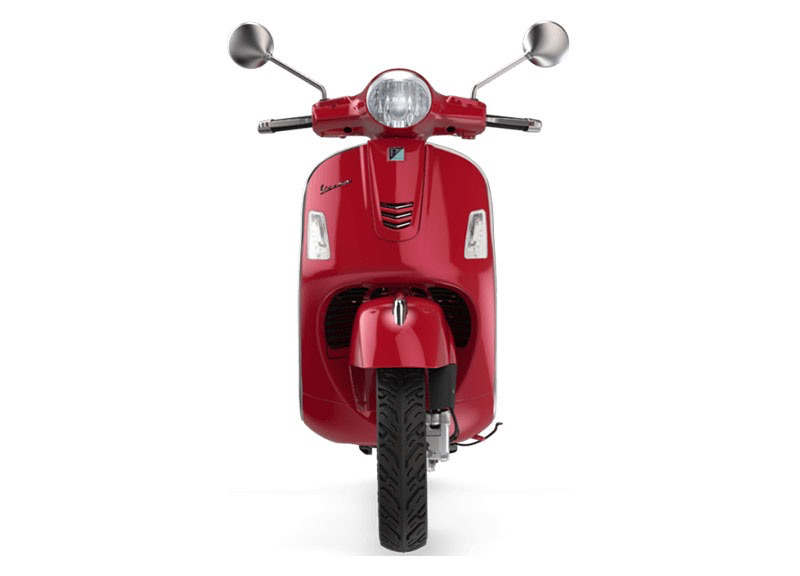 The saddle has the shapes and materials typical of sporty Italian vehicles, such as the body, the metal soul of the Vespa, has undergone some significant changes. 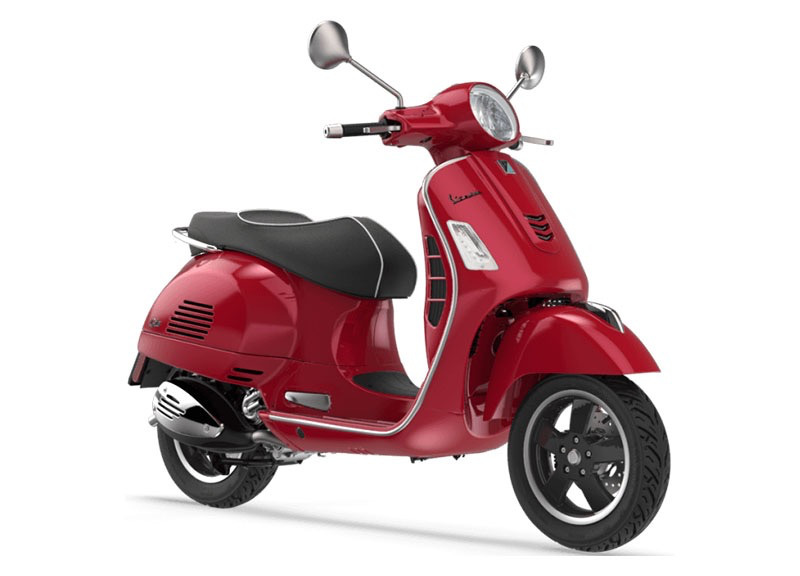 On the right hand side, in fact, is a horizontal grill that alludes to the most beautiful Vespas of the past and gives an elegant sporty touch to the vehicle's profile. Power and elegance at the highest levels: Vespa GTS is unrivalled in the market, thanks to its 300 cc engine, the most powerful of the entire range. 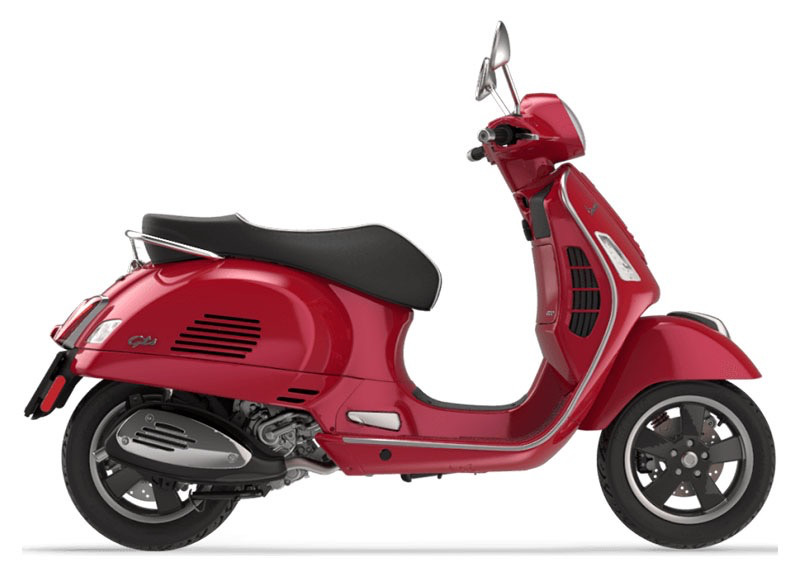 FRONT TIRE = TUBELESS 120/70 - 12"
REAR TIRE = TUBELESS 130/70 - 12"
WARRANTY = 2 YEAR WARRANTY (LIMITED*) ON ALL VESPA AND PIAGGIO PRODUCTS, UNLIMITED MILEAGE. *LIMITS ARE OUTLINED IN THE WARRANTY BOOKLET. SEE DEALER FOR DETAILS.